Bath time has become an amazing restorative exercise for me lately. I lounge away in the hot water and feel truly warm for the first time all day. I pamper myself with bubble bath, my 1940’s vintage lady Gillette razor, and usually some music or candles. 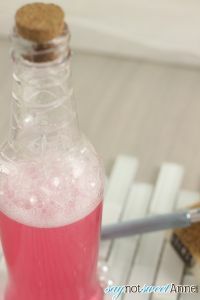 So, when I ran out of body wash I figured it was a perfect opportunity to make my own tailored soap, adding just that extra layer of pampering. 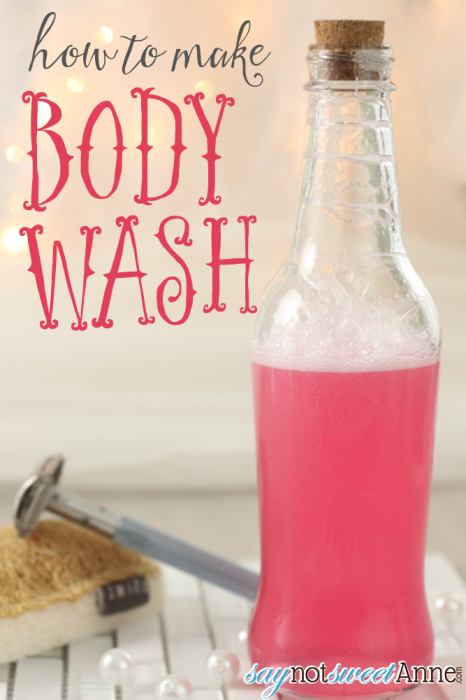 Of course, this awesome DIY body wash can be used in the shower too! It comes together really quickly and makes a good lather. I even use it to shave with. 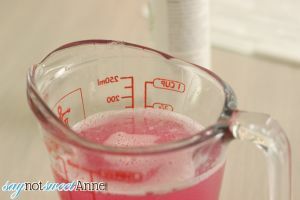 3/4 cup Castille soap, in liquid form. (I got mine from Amazon.) I chose unscented, but if you wanted, you could choose a scented version and skip the scent step. 1/4 Honey. Something organic and raw would be best. I get mine from the farmer’s market but there are plenty available online. Several drops Cosmetic Safe Coloring (optional) I bought the primary color pack, so now I just mix whatever colors I want from those. If you are using essential oils, be sure that you have high-quality oils that you are not allergic to. Essential oils can be great for treating topical skin issues like acne and adding delicious scent to the body wash. That said, they are potent and might cause reactions in some people, sun sensitivity, or even medication interactions. That’s it! Store mixture in an easy to use bottle. Wrap it up with a label and some ribbon for a great gift idea! Ha ha ha ha, yeah 1/4 cup. Thanks for noticing! Hey Kristie, it makes about 1 cup. The Lady Gillette is 20 years younger than you think. It’s from the 60’s. Thanks for clearing that up, Paul! Can this be used as a shower gel including hair? I have been trying to make one that will do everything. You might find the Castille base is a bit harsh for hair – but that will depend on your body and what feels comfortable for you.